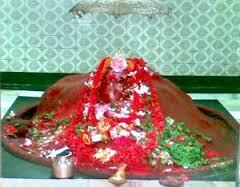 Here is Some information about Attahas Temple(Shakti Pith) in Katwa West Bengal India. 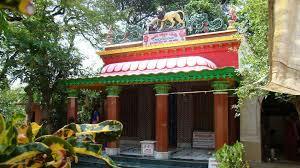 Attahas Shakti Pith Temple is located at Nirol gram panchayat in the Katwa subdivision of the Bardhaman district of West Bengal .The temple of Attahas, also known as Fullora Attahas, is believed to be one of the 52 Shakti Peethas at which the body parts and jewelry of the Hindu goddess Shakti fell to Earth. The goddess is so large that the lower lip is about 15 to 18 feet wide. The temple is a site of Hindu pilgrimage throughout the year.This goddess Shakti, the Goddess of power is the complete incarnation of Adi Shakti, has three chief manifestations, as Durga, Goddess of strength and valour, as Mahakali, goddess of destruction of evil and as Goddess Gowri, the goddess of benevolence.It’s one of the 51 Shakti Peethas. emple has a stone deity that is around fifteen feet long –which, incidentally, symbolises the lower lip of the goddess. A natural pond that has now gone into disuse sits right adjacent to the temple complex. An interesting fact about this pond: Hanuman was said to have collected a hundred and eight lotuses from this very pond when Shree Rama needed them for worship of the Goddess Durga. Gracing the same temple complex is a beautiful marble idol of Mahadev sitting on a stone lotus. The temple in itself is an architectural marvel. Although not very large and extravagant, the temple has been done up artistically and is extremely pleasing to the eye. During Shiva’s tandav after Mata Sati’s death when Lord Vishnu had hurled his Sudarshan Chakra at the burnt corpse, Mata Sati’s lower lip is said to have fallen in Attahas. Literally, ‘Attahas’ is a Sankskrit word which means profound laughter. The lower lip had then taken on the form of a stone and a shrine was erected around it. Shiva had appointed Vishvesh as the Bhairav guarding the temple. Attahas is famous not only for being a heavenly abode but also the abode of a number of beautiful wild birds. Every year, this place is paid a visit by over two thousand Asian open bill storks, fruit-eating bats and exquisite butterflies. It is for these reasons that Attahas attracts a lot of environmentalists and birwatchers every year, particularly during December-January. 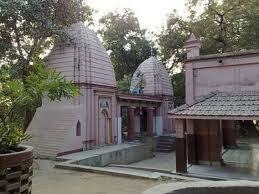 By Road - There are many public and private vehicles available to reach Attahas Shakti Pith Temple Katwa West Bengal . By Train - The Nearest Railway station is Labhpur Station. By Air - The Nearest Airport is kolkata Airport.